Fonterra’s general manager sustainable dairying, Charlotte Rutherford. Photo: Stephen Barker, Dairy Exporter. 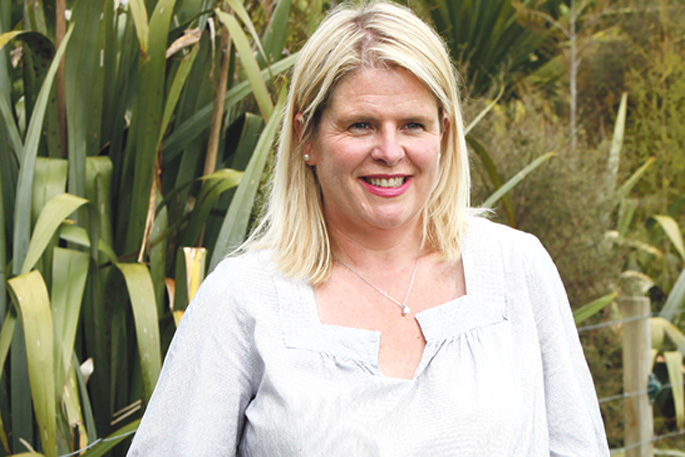 A solid framework to manage change is key to mitigating the impact of dairy farming on the environment, says Fonterra’s general manager of sustainable dairying Charlotte Rutherford. Charlotte, who offered a seminar on ‘Sustainability and the future of good management practice’ to attendees of the Effluent Expo in Hamilton in late-November, says social and legislative pressure to decrease the environmental impact of farming would continue. Charlotte believes that the industry is well equipped to manage these challenges, and her message to farmers was: “Be aware of what lies ahead and understand how to adapt”. Charlotte says during the last 10-15 years the industry has demonstrated its ability to change, with environmental impact mitigation strategies like riparian planting, fenced-off waterways, nutrient budgets and other tools now commonplace across the sector. Using examples from farms throughout NZ, Charlotte talked about the benefits of Fonterra’s Tiaki Farm Environment Plan, which provides a framework for understanding and managing the environmental impacts of farming. As well as looking at effluent management, a Tiaki farm environment plan examines nutrient management, wintering and waterway management, assesses the risk of these activities, and develops a prioritised action plan to address any problem areas, says Charlotte. “These plans aren’t a one-off sort of thing that is developed and put on the shelf, rather they are a tool that farmers go back to over time to update and see how things are progressing. Mitigating environmental impacts is a priority area for farmers now and in future, but Charlotte points out sustainable farming is much broader than just effluent, or the impact on our waterways and climate. “Sustainable farming is often equated with mitigating environmental impacts, but it is larger than that. Sustainability is also about economic viability, about social wellbeing and cultural understanding, as well as conservation and protection of our natural resources. “Strong, healthy environments provide the foundation for sustainable, profitable farming, and farmers not only want to improve their performance, they are well-equipped to do so,” says Charlotte.